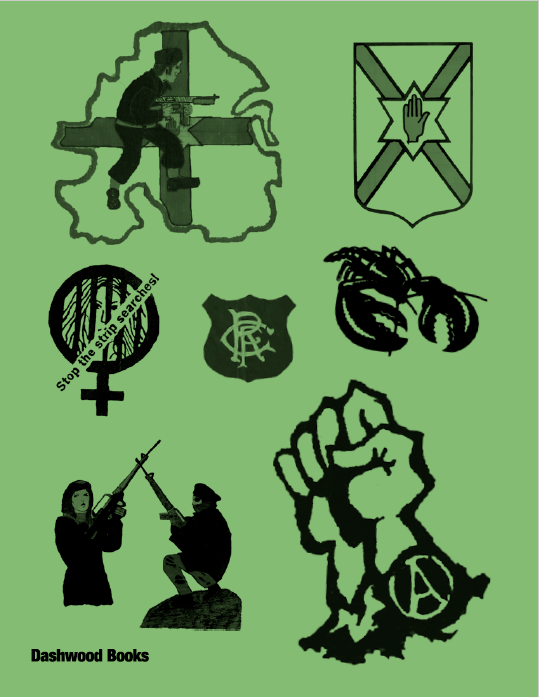 PUNK TROUBLES: NORTHERN IRELAND examines the subject of Northern Ireland punk in the context of sectarianism. The book offers a new and unique perspective on The Troubles and the N.I. punk scene by explicitly highlighting connections between the two. The crude immediacy of the N.I. 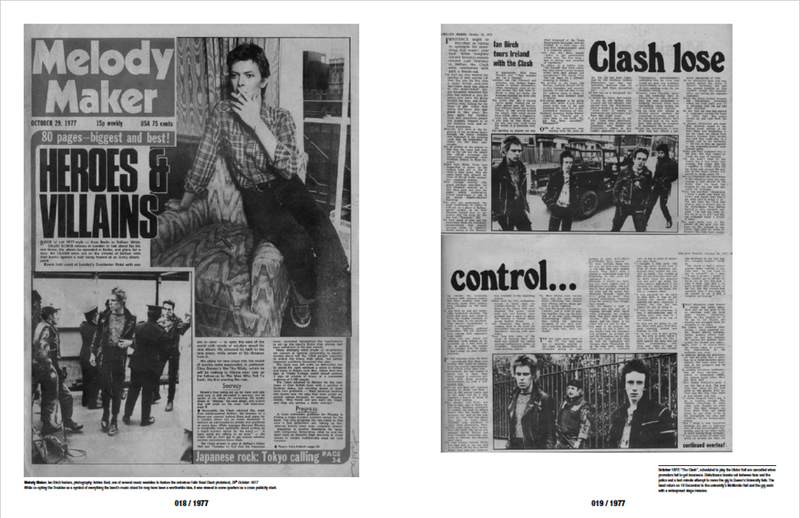 punk aesthetic and message is shown in relation to the political propaganda of the same period. 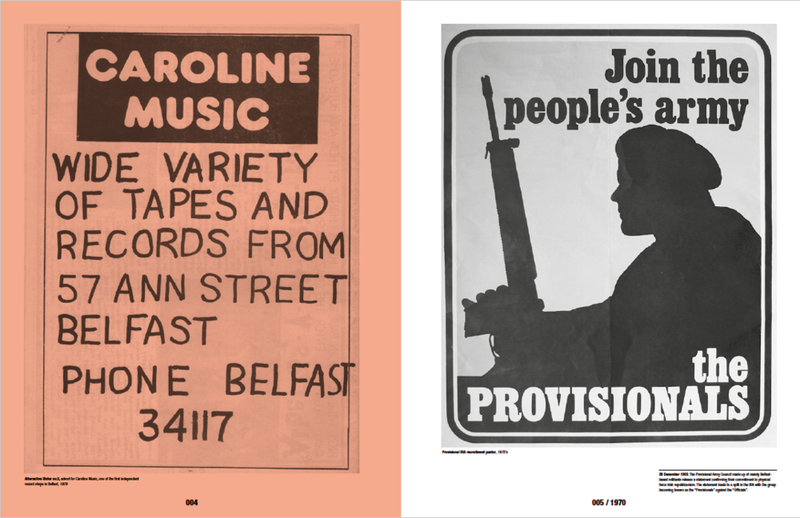 The striking images used give an idea of the power of punk in Northern Ireland, producing an uncompromising look at The Troubles and the younger, frustrated generation’s response to this conflicted period in Northern Irish history. A timeline of key NI events creates a dialogue between the history and the material represented. With an in-depth interview with Paul Burgess, principal songwriter of Ruefrex and a key figure in the NI punk scene, who says about NI at that time, ‘If you’re not confused you haven’t understood the situation’. Designed by Jamie Andrew Reid.